Beatrice Scarlet, the apothecary's daughter, has found a position at St Mary Magdalene's Refuge for fallen women. She enjoys the work and soon forms a close bond with her charges. The refuge is supported by a wealthy tobacco merchant, who regularly offers the girls steady work to aid their rehabilitation. But when seven girls sent to his factory disappear, Beatrice is uneasy. 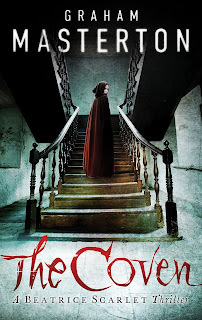 I had read the first Beatrice Scarlet book, Scarlet Widow, and rather enjoyed it so I didn't hesitate to accept a copy of the sequel, The Coven. It sounded dark and scary but it turned out to be dark in a way I didn't expect and didn't enjoy, so I found myself getting more and more disappointed as I read on. I almost didn't finish it, but for the fact that I wanted to find out what had happened to one of the characters. After her son, Noah, is abducted by Indians, Beatrice leaves America and returns to London. I'm not a mother, but really? I can't imagine any mother would leave her son behind, the last link she has to her dead husband, when there is even the smallest chance he could return to look for her. Anyway, Beatrice heads to London and she ends up living and working at a home that rehabilitates prostitutes. 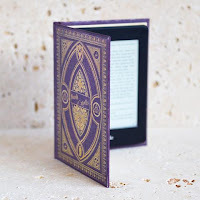 Their benefactor picks the best looking ladies to go to work at his tobacco factory but when Beatrice enquires after those she befriended, they have disappeared and been branded as witches after leaving a gutted goat and a bloody pentagram. Like Miss Marple, Beatrice smells a rat and begins an investigation into their disappearance. As more girls disappear, Beatrice is drawn into the seedy underbelly of London which puts her at more risk than she can ever have imagined. Scarlet Widow perhaps gave a little hint as to which direction the series was going in as there was quite a graphic sexual assault described. At least I thought it was graphic until I read The Coven. I'm not a prude by any means but the actions described in this book made me cringe in disgust and I felt quite uncomfortable at times. Unfortunately, it has put me off reading any further books in the series. The Coven is a sequel I was quite looking forward to but sadly I was very disappointed.